Dr James Colthurst is perhaps best known for having been a close friend of the late Princess Diana. He was trusted implicitly by Diana , and acted as a go-between during one of the most difficult periods of her life. It was Colthurst who conveyed the secret tapes she had recorded to the journalist Andrew Morton. Morton went on to write the international bestseller, Diana: Her True Story. When a great friend of mine asked if I had read “All Along the River” and went on to explain that this was the Thames, I was intrigued. Having lived close to the Thames and having been educated at two famous establishments on its banks, Eton and St Thomas’s Hospital, and hearing that an Australian had written the book, I hoped it would do justice to this fascinating stretch of English heritage. Far from being disappointed, I was drawn in. 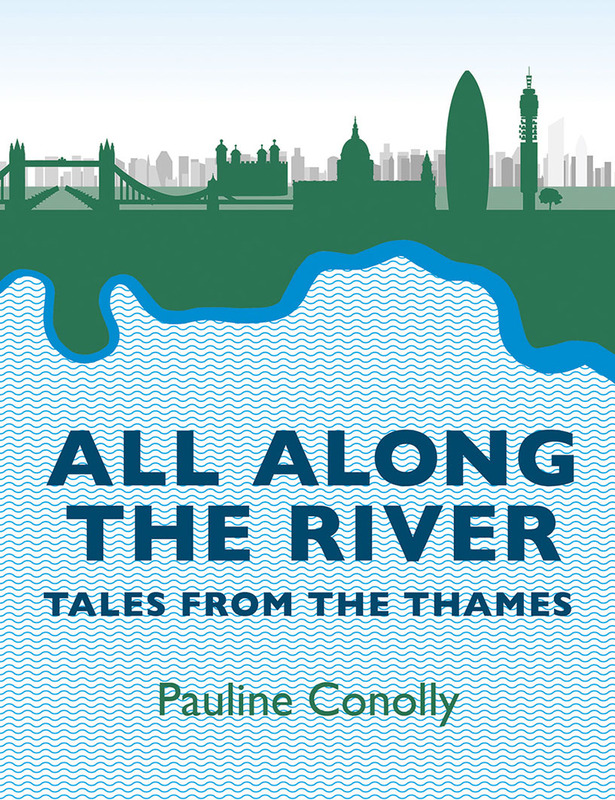 Pauline Conolly’s meander along the banks and towpaths of this long river (the section from Oxford to London alone is 120 miles} is punctuated not only by a multitude of historical anecdotes but interspersed by recipes! Almost as if the pace of the book commands energetic attention, the reader is sustained by regular grub; some old some new! Love of the Thames has touched many; often engendering a sense of loyalty. The book inspired me to look at the Thames valley with a different set of eyes. The journey was fun, and filled with a mixture of historical, touching and mischievous anecdotes. Having rowed the stretch from Oxford to London on a fundraising two-day trip, it would have been a joy to have had the cox read Pauline’s book to us as we paddled along! She manages to capture the essence of peace, nature and industry as they vary along the 33 locks which make the valley navigable. After spending so much of my sporting life trying to pull a boat from point to point on the Thames in the shortest possible time, it was a great pleasure to enjoy a book of reflection and obvious enjoyment from someone who has also been touched by Old Father Thames. The book lifted me from the gentle paddling and ferocious competition of the Thames regattas, to a much more reflective immergence in its past. For an oarsman, the addition of recipes at frequent intervals was an additional treat. The book is as appealing to someone unfamiliar with the Thames as to those who might feel they already know its stories well! My sincere thanks to a mutual friend John, who gave Dr Colthurst the book to read. I think you will agree that he was very generous in his comments. Despite leading an extremely busy life, he obviously read the book carefully, providing thoughtful and insightful comments. By the way, I suspect that as an old Etonian there was one recipe he was quite familiar with; Eton Mess, beloved by generations of the famous college’s pupils. Here are a couple I made earlier! 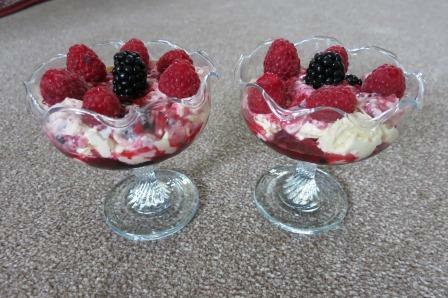 The dessert is made from crumbled meringue, whipped cream and soft summer fruits. It is more traditional to use strawberries, but I adore English raspberries. I should add that James’ mention of mischievous anecdotes includes Aussie rower Stuart (Sam) Mackenzie) beating all-comers at the Henley Regatta. He won the Diamond Challenge Sculls 6 times (consecutively from 1952 – 1962). He was far cheekier than me and used to practice on the river wearing a bowler hat. 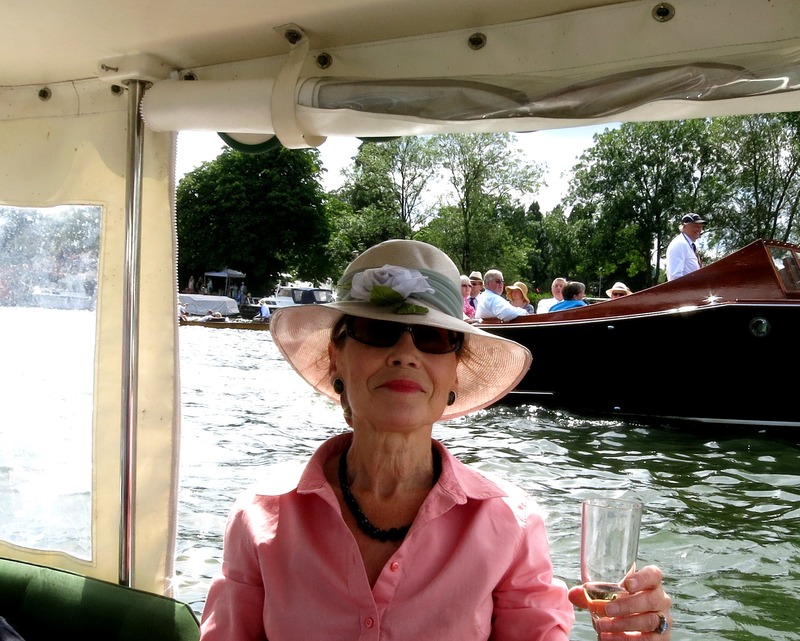 Henley Regatta; my champagne toast to Sam, and all Australian competitors. Sorry about the hat, it came from a Marlow charity shop. I blame my friend Cath, who said it looked alright! More Australian related social history of the Thames is mentioned here. WALTZING MATILDA DOWN THE THAMES. IF YOU WOULD LIKE TO LEAVE A COMMENT, SCROLL DOWN TO THE BOX PROVIDED. THEN GO A LITTLE FURTHER DOWN ….AND COMPLETE THE SIMPLE ANTI-SPAM SUM. Phew: nearly forgot to do the sum as I hadn’t scrolled down the page low enough to remind me! Thanks Marcia. Yes, wasn’t it lovely of him?